* A hospital is bribing physicians for patient referrals for radiology or cardiac catheterizations and or for admissions. Unlike any group in the US the Corporate Whistleblower Center can assist a potential whistleblower with packaging or building out their information to potentially increase the reward potential. They will also provide the whistleblower with access to some of the most skilled whistleblower attorneys in the nation. 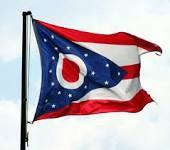 For more information a possible whistleblower with substantial proof of wrongdoing in Ohio can contact the Whistleblower Center at 866-714-6466 or contact them via their website at http://Ohio.CorporateWhistleBlower.Com.